Blogs has become one of the most popular trends in the last 3 years. As you are reading this right now I am almost sure that you run your own blog or that you are on the course of starting one of your own. Did it ever come to your mind the question of why do you blog, or why do you need to? These days there are more than 80 millions blogs on the internet. Isn’t it interesting to know what purposes do they pursue? Many people have seen the power and the many uses of blogs. In fact, it’s one of the highly powerful medium to which individuals can express themselves as well as for business minded folks to promote their business online. With all the great things a blog can do, the only negative thing is that there has been a lot of craps and hypes regarding making money with blogging. About 4 or 5 years ago it was real hard to earn something on the internet until the birth of WEB 2.0 era. 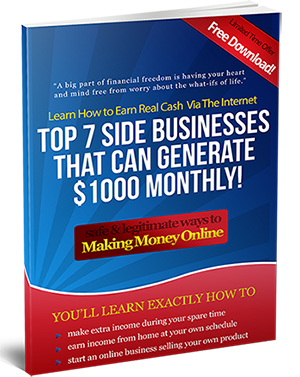 The only method which most internet marketers utilize to make money online during that time was the traditional website creating and then selling different sorts of products with it. Until today, although everything changed, making money online is not that easy for ordinary people like us. But with the birth of Web 2.0 and blogs, its now possible even for usual folks to earn some bucks especially by making use of blogs. The blogging craze almost always amplifies everyday, and almost every person, who have heard a thing or two concerning blogs, wants to build one for their own. While some business minded people pure wants to earn money by blogging, still many others have their own reasons and purposes of creating one. Lets take a look at some of this reasons. 1. Some people blog to gain glory. The vanity of attaining glory was, is and will be always. It is not very surprising that people want to be famous. The feeling of being look up, being known worldwide, and even adored cannot escape mans desire for glory and fame. Just look at how a lot of amazing people did you know simply because you have enjoyed blogging. Blogging tycoons like Seth Godin, Steve Pavlina, Darren Rowse, or even John Chow became popular in the online world because of blogging. Did you ever came to know them if not for blogs? 2. A number of people blog for the sake of self expression. Lots of individuals are blogging because it simply gives them some charge of energy. This make money online blog was created for the reason that I just wanted to share some of my thoughts and experiences about making money online. There are lots of people, who are the professionals in different fields, but don’t have other opportunities of expressing themselves. For folks like them, the best medium to make themselves heard is through the use of blogs. 3. Blogging as a job. For lots of individuals, blogging can be a real time job. Many companies are realizing the power of blogs and are hiring bloggers to write about and promote their products. They also use blogs to announce their new products and its updates. It was reported that the middle salary of such hired blogger in the US starts from $2.5 thousand and up to 3 thousand per month. That’s a really good income for most people. 4. Using blogs to sell your own products. The internet offers lots of possibilities especially in the field of commerce and business. Through the internet you can start selling your own products globally and you can start right away just minutes after creating your blogs. This works especially if you are selling an electronic product such as an eBook or a useful software. So when selling electronically created products, the internet is the best to use because people use it. And blogs are a great instrument to realize these purposes. 5. Using blogs to sell affiliate products. Blogs are a great medium to which anyone can utilize to sell affiliate products. It’s been one of my best techniques in selling make money online products. 6. Using blogs to help each other. Blogs are also a great medium to connect with other professionals and help one another. On the web, you can find many blogs of programmers, web developers, and even family physicians and radio engineers who are writing about what they should do in certain situations. They help each other by blogging about certain knowledge that can help their colleagues improved more in their own respective fields. 7. Using blogs to make money online. Eventually there are lots of business minded people or internet marketers who blogs for the sake of money. Such prominent examples of make money bloggers are John Chow who makes more that $40,000 a month with his highly popular MMO blog. Another popular blogger who makes money with his blog is Steve Pavlina and of course Darren Rowse of Problogger.net. These people are making money out of their blogs because of their enormous popularity. Attaining such fate on the internet takes time and a lot of promotional efforts. However, ordinary folks like us can earn money by blogging without having to be as popular as them. It’s just a matter of employing the right techniques in marketing your blogs and driving targeted traffic who readily buys whatever product you offer them. Blogs are a powerful tool especially in the area of internet marketing. However, different people have different reasons and purposes in using a blog. If you intend to use it for the sake of making yourself popular on the internet it can be achieved. It takes time and authority on the field where you want to be known. On the other hand, if you want to make a living out of it you don’t need to be as popular as those folks mentioned above. It’s just a matter of using the basic knowledge and skills an internet marketer must have. anyone who makes money on the internet would love to know the secret of John Chow’s success. :,.